China is the land where the great red dragon resides, and is the place that has resisted and condemned God most severely throughout history. China is like a fortress of demons and a prison controlled by the devil, impenetrable and impermeable. Furthermore, the regime of the great red dragon stands guard at all levels and has set up defenses in every household. As a result, nowhere is more difficult to spread God’s gospel and carry out the work of God. When the Chinese Communist Party came to power in 1949, religious belief in Mainland China was completely suppressed and banned. Millions of Christians suffered public humiliation and torture, and imprisonment. All the churches were completely sealed off and cleared out. Even house meetings were banned. If anyone was caught taking part in an assembly, they would be put in prison and could even be beheaded. At that time, religious activities almost disappeared without a trace. Only a small number of Christians continued believing in God, but they could only silently pray to God and sing hymns of praise to God in their hearts, beseeching God to revive the church. Finally, in 1981, the church was truly revived, and the Holy Spirit began to work on a large scale in China. The churches sprang up like bamboo shoots after a spring rain, and more and more people began believing in God. In 1983, when the revival of the church reached its climax, the Chinese Communist Party began a new round of cruel suppression. Millions of people were arrested, detained, and educated through labor. The regime of the great red dragon only allowed believers in God to join the Three-Self Patriotic Church set up by the government. The CCP government set up the Three-Self Patriotic Church in an attempt to thoroughly do away with the underground house church and bring those believers in the Lord firmly under the government’s control. It believed that this was the only way to achieve its aim of banning faith and turning China into a land without God. But the Holy Spirit continued to do much work in the house church and in those who truly believed in God, which the CCP government had no way of stopping. At that time, in the house church where the Holy Spirit worked, Christ of the last days secretly appeared to work, and began expressing the truth and doing the work of judgment beginning with the house of God. At the beginning of February 1991, someone in the church seemed to receive the Holy Spirit’s enlightenment and began to speak, testifying to the name of God and the coming of God. These words were sent out to the churches, and after reading them, everyone grew very excited, they were all overjoyed, and believed that this surely was the enlightenment and words of the Holy Spirit. From then on, Christ began to speak. Sometimes Christ uttered a passage a day, sometimes one every two days, and the utterances became more and more frequent. Everyone passed them around and felt extremely excited, meetings were full of enjoyment, and everyone was immersed in happiness. As Christ expressed more and more words, all people paid attention to enjoying God’s words, and their hearts were completely gripped by God’s words. And so, during the assemblies, they formally began to enjoy the present words of the Holy Spirit. At that time, people had yet to realize that God had been incarnated and this was the appearance of Christ. They only regarded Christ’s expression as the enlightenment of the Holy Spirit received by an ordinary person, because in Christ’s expression, He had not formally testified to God’s incarnation. No one understood what the incarnation was all about, and knew only that these words were the enlightenment of the Holy Spirit. Therefore, they still treated Christ as an ordinary person. Only when Christ’s utterances reached their peak did God begin to testify to God’s incarnation, explaining the differences between the Holy Spirit’s descent unto man and the Holy Spirit’s work in man and disclosing the mystery of the Spirit’s realization in the flesh. Only then did people know that this ordinary person who lived among them and expressed the words to shepherd and supply the churches was God incarnate, Christ, and God who had appeared. Having realized this, they all hated how blind, foolish, and ignorant they had been, and prostrated themselves before Christ, weeping and repenting, their hearts torn apart by profound sorrow, their cries heard everywhere. At that time, people’s hearts were filled with mixed feelings of grief and joy, which could not be described. When they beheld Christ, they knew only to prostrate themselves upon the ground; if they did not, they felt uneasy within their hearts. When prostrating before Christ, they had enjoyment and felt that they had truly returned before God and were ones who belonged to God. 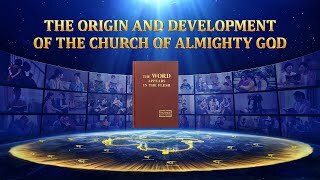 After Christ appeared, He expressed more and more words, gradually entering onto the right track of God’s work and ushering in judgment beginning with the house of God. God’s words completely conquered people. Through Christ’s disclosure of the meaning of God’s name, the name of Almighty God came into being. So people prayed directly to the name of Almighty God, and during assemblies they enjoyed the words of Almighty God. This is because these words (that is, all the words in The Word Appears in the Flesh) are God’s present work, God’s words in the new age, and people’s present need. Since there was God’s new work and words, naturally the Bible became outdated, and naturally no one paid any heed to the various sayings and theories of the Age of Grace. They were all conquered by God’s present words, as if they had seen heaven open. This is because God disclosed all kinds of mysteries, people’s eyes were opened, and they saw that most of the sayings that people had previously clung to during the Age of Grace were notions, and contained deviations and erroneous things. Thanks to God’s appearance, people stepped onto the right track of believing in God. Only after people were conquered by God’s words did they find that this ordinary and normal person who expressed God’s words was Christ, and God’s incarnate flesh. Christ was born into an ordinary family in northern China. From childhood, He had believed in God with all His heart. He gradually grew up as an ordinary person does. In 1989, just as the Holy Spirit was working on a large scale in the house church, Christ gave up His studies and formally entered the house church. At the time, Christ was fervent in His heart and He yearned to serve God and perform His duty. Two years later, Christ began to express words, writing down the words in His heart and giving them to the churches. Afterward, as Christ expressed more and more truths, people were attracted by Christ’s words, and hungered to read what He had expressed. In particular, His words which revealed and judged the substance of the nature of corrupt mankind, and the satanic disposition of corrupt mankind, pierced people’s hearts like a two-edged sword. Only then were they completely conquered by God’s words, and kneeled before God, only then was Christ accepted, known, and exalted by people, and became the practical God venerated, loved, and esteemed by mankind. Christ is possessed of both normal humanity and full divinity. He can express the truth at any time and in any place, and disclose the substance of mankind’s corruption. His words and outlook are full of the truth and wisdom, just like the Lord Jesus. What Christ speaks and has is not learned from books, but comes entirely from the divine substance He possesses. Christ was begotten from God. In His life people see His completely normal humanity. From His work and His patience with mankind, people can see His divine substance and His disposition that is intolerant of offense by man. Although, like the Lord Jesus, Christ has the weaknesses of humanity, He also has the substance of obedience to God’s Spirit. He is full of truth and wisdom, inspiring utter conviction in people in both their hearts and words. Christ is the truth, the way, and the life, in name and in reality! God has been incarnated as a meager person, and works secretly and humbly among man, conquering mankind and defeating enemies through the expression of the truth. He has long since completely overcome, and been testified to and proclaimed. This is God’s almightiness, wisdom, and glory. As a result of Christ’s appearance and work, The Church of Almighty God came into being. Then the brothers and sisters in The Church of Almighty God started testifying to God’s work, and began the work of spreading the gospel of Christ’s kingdom. This is a brief introduction to the background of God’s incarnation and His secret coming in order to work. To put it simply, the incarnate Christ has come to the land where the great red dragon resides, and expressed the words of judgment and chastisement, and conquered and saved God’s chosen people in China. Which is to say, the incarnate God battles Satan in the den of the great red dragon, and has given everything in order to awaken mankind, and cause mankind to hear and recognize God’s voice, and thus return before God and be saved by God. This is something that is extraordinarily rare, and of incredibly profound meaning. In this incarnation God works to save man, which means that God has come to arrange mankind’s destination and bring this age to an end. God has come to Mainland China, the land inhabited by the great red dragon, and has secretly arrived to work, conquering and saving the deeply corrupt mankind and perfecting a group people into overcomers. This has ushered in the judgment of the great white throne in the last days, and has opened the path for God’s public appearance to every nation and place of the world during the next step.